Running a business takes a lot of time. As an entrepreneur, you need to maximize your time and get the most out of everything you do. Many business owners increase their profitability by outsourcing tasks that must be completed but take up too much of their valuable time. Outsourcing is not only a great way to free up time for income-generating activities; it can also enable you to complete projects even if you don’t have the required skills. 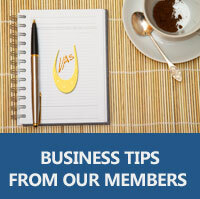 Some of those tasks can help your business grow by leaps and bounds! For instance, if you’re in direct sales, you make money by selling products and recruiting people. Instead of spending your time answering emails, creating newsletters for your team and your customers, or posting recruitment ads online, hire a virtual assistant to do those things for you. You can then use the time that you would have spent on those tasks for booking more parties. If you create and sell information products, a virtual assistant can handle administrative tasks such as distributing articles and press releases, answering emails, and researching new topics. Some VAs can even write your articles, special reports, and other content. This will allow you more time to market and sell your products. Don’t wait until you reach a certain income before you begin to outsource! Without help, you may never reach that level, because you can only make much so money while you’re doing everything yourself. If you wait, you’ll waste precious time that you could be leveraging to take your business to the next level. Start outsourcing one or two tasks a month. Add to this number as your profits grow and you can afford to outsource more tasks. Trade your products or services in lieu of payment. For example, if you’re a graphic designer, offer to create a logo in lieu of payment. If you’re in direct sales, offer to exchange something from your catalogue. You may find a writer or virtual assistant who would be willing to make that trade. Let’s say you charge your clients $75.00 per hour, but you spend about three hours per week sorting emails. 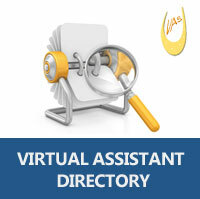 Instead of spending that time on your email, pay a virtual assistant $40.00 per hour to sort it for you. For an investment of $120.00, you gain three extra hours per week to earn $75.00 per hour, or $225.00. In this case hiring a VA didn’t cost you a penny – you actually made $105.00! When you’re ready to explore outsourcing possibilities for your business, contact one of our members.